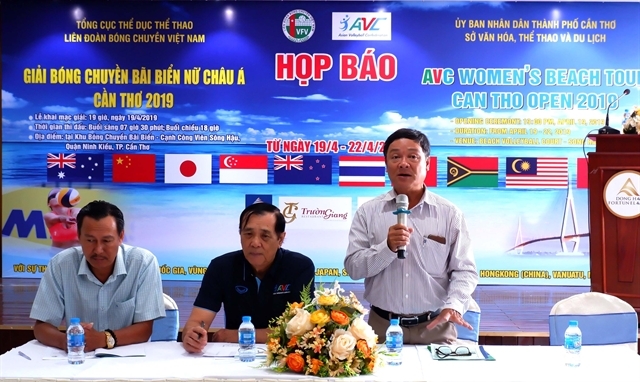 HÀ NỘI — The 2019 Asian Volleyball Confederation (AVC) Women's Beach Volleyball Tour is scheduled to take place in the Mekong Delta province of Cần Thơ from April 19-22, the Việt Nam Volleyball Federation announced on Friday. The event will draw the participation of 21 teams from 11 countries and territories including Japan, Malaysia, New Zealand, Singapore and Thailand. The event will have total prize money of US$12,000. The winners will walk away with $2,600.